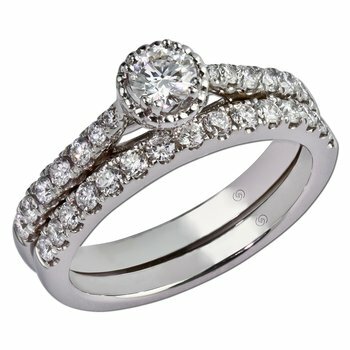 Just Beginning engagement setting is unique with a hand crafted design along the shoulders, with sparkling bead set diamonds to compliment the design. 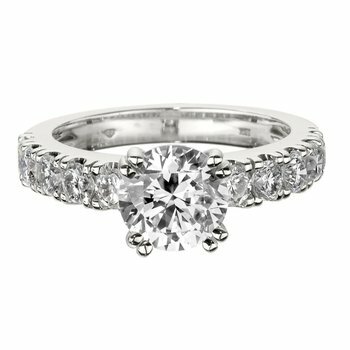 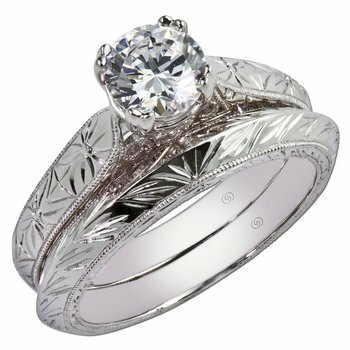 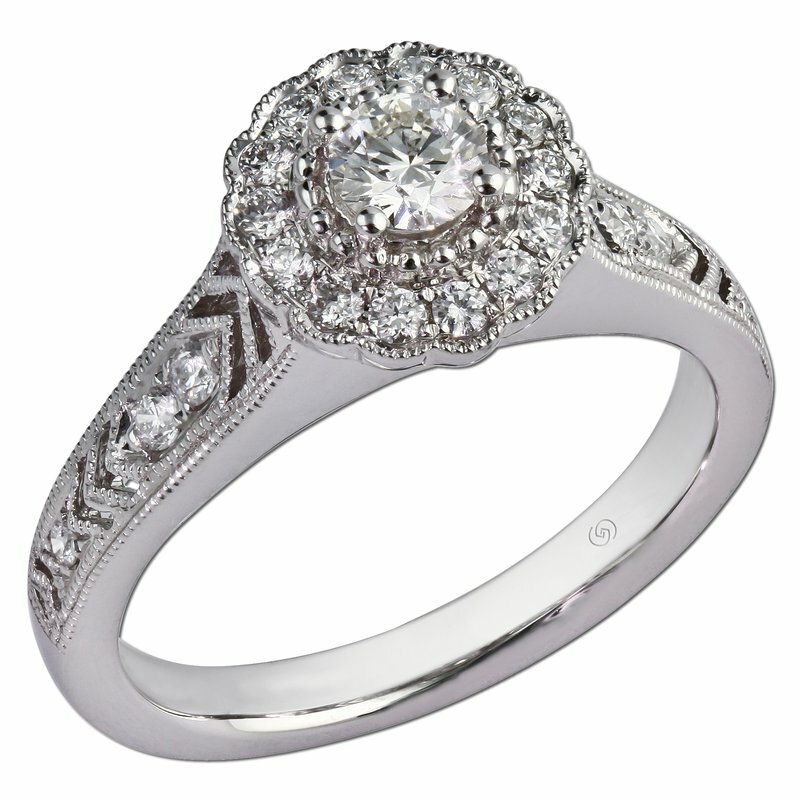 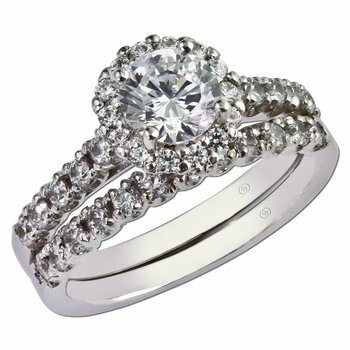 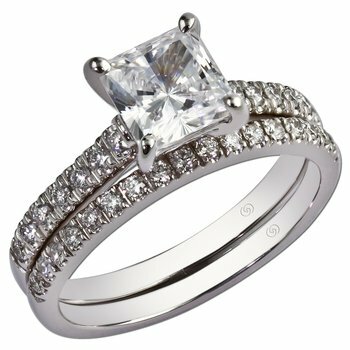 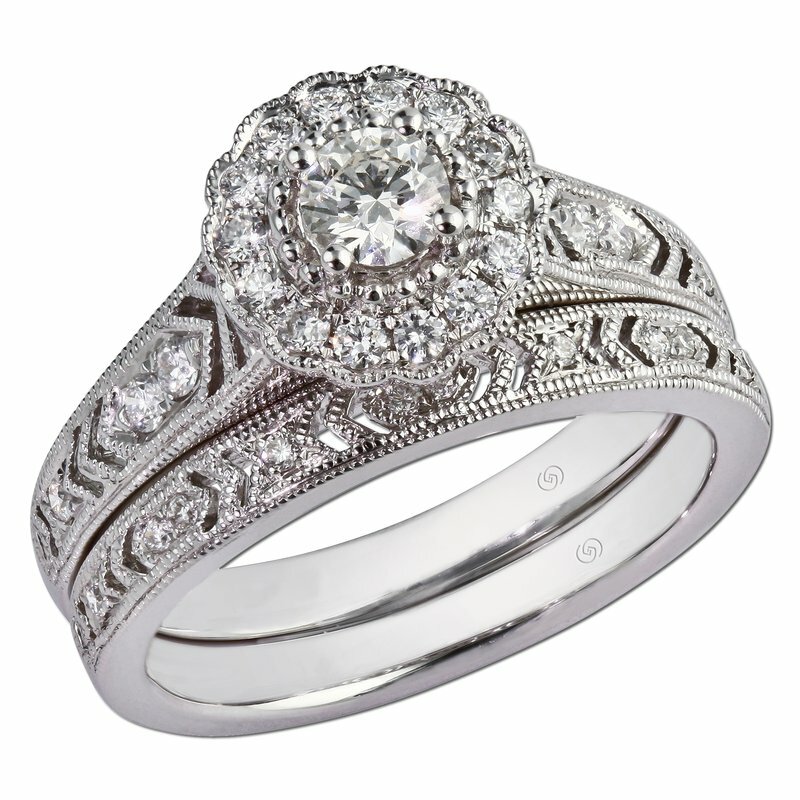 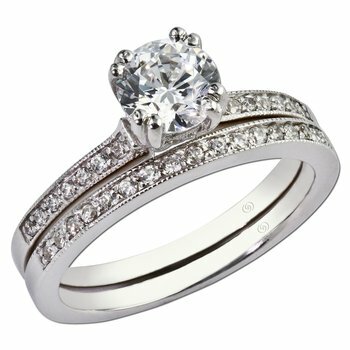 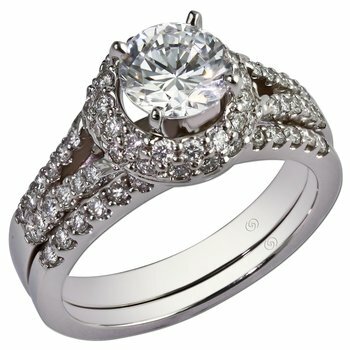 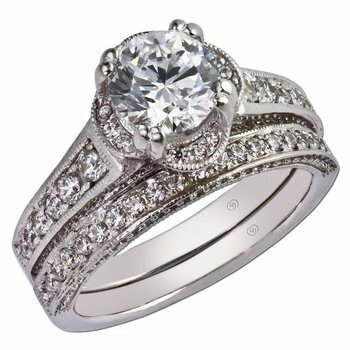 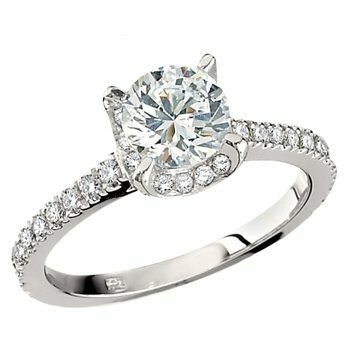 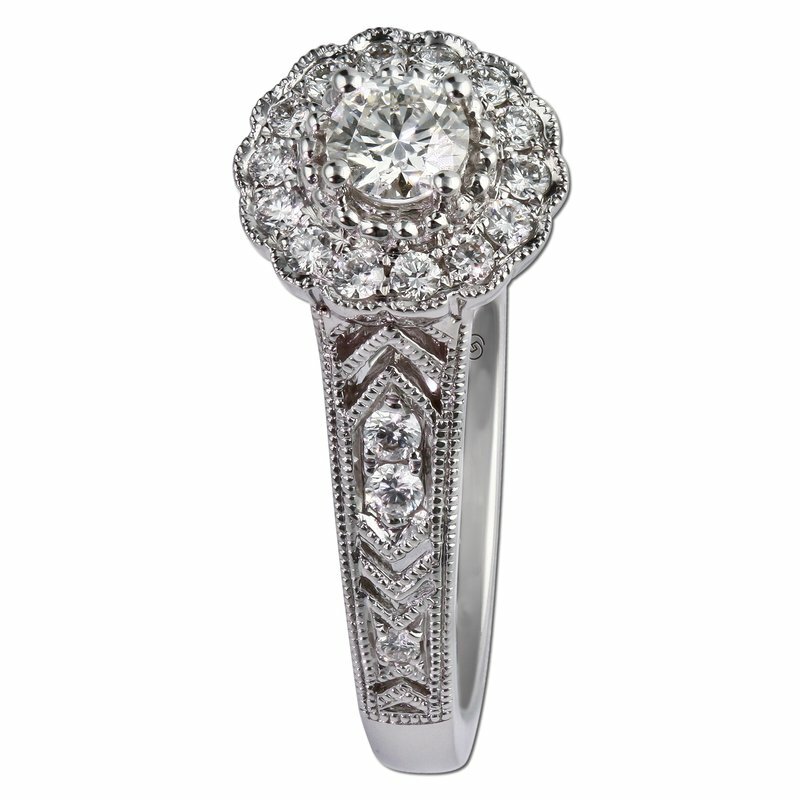 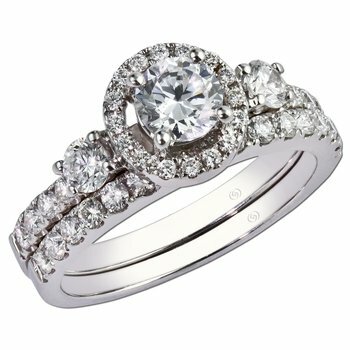 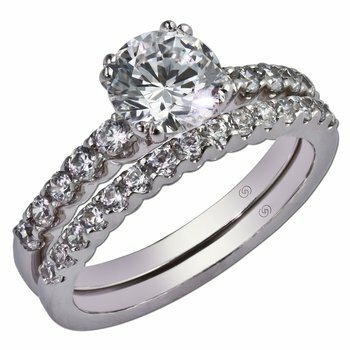 A flower shaped diamond halo accentuates a beautiful .24 round diamond. 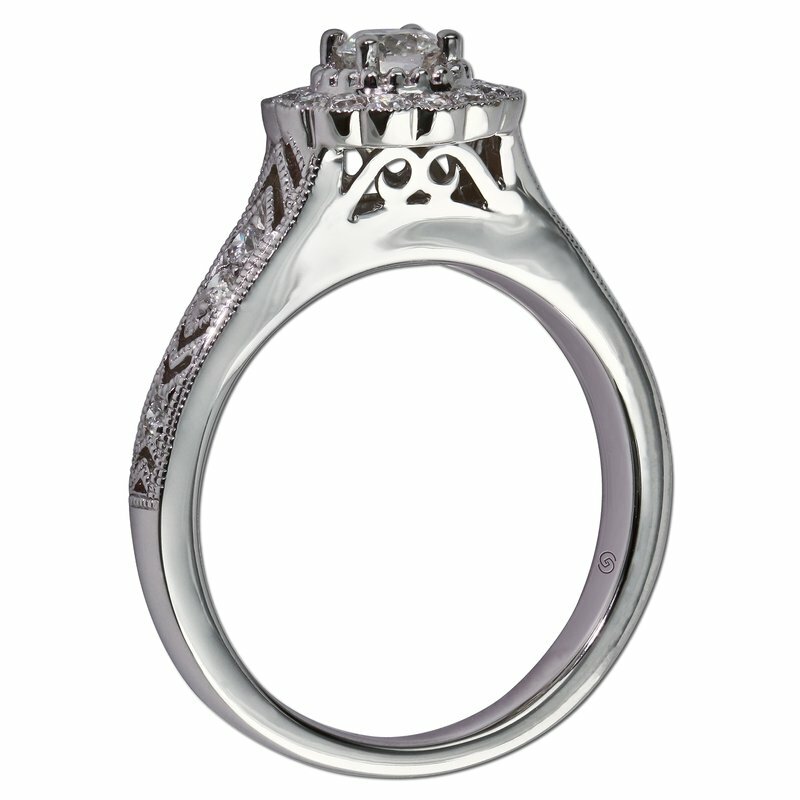 Scrollwork hand engraved in the gallery adds a romantic touch. 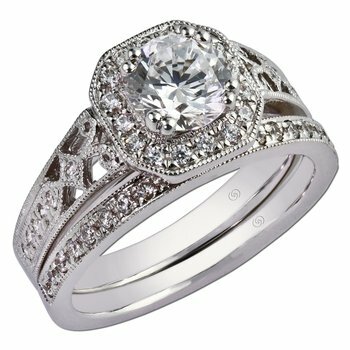 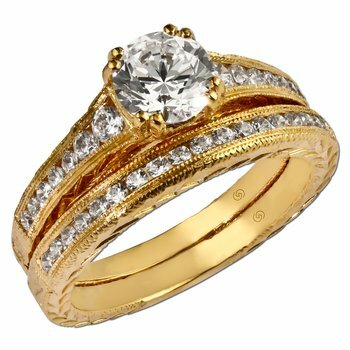 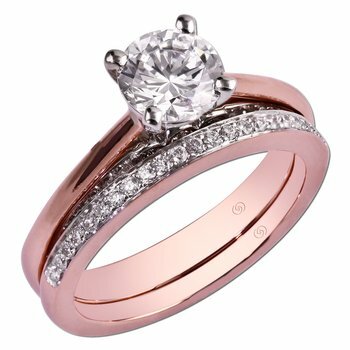 The wedding band maintains the same hand crafted design, with bead set diamonds, halfway around, lining up perfectly with the engagement ring.